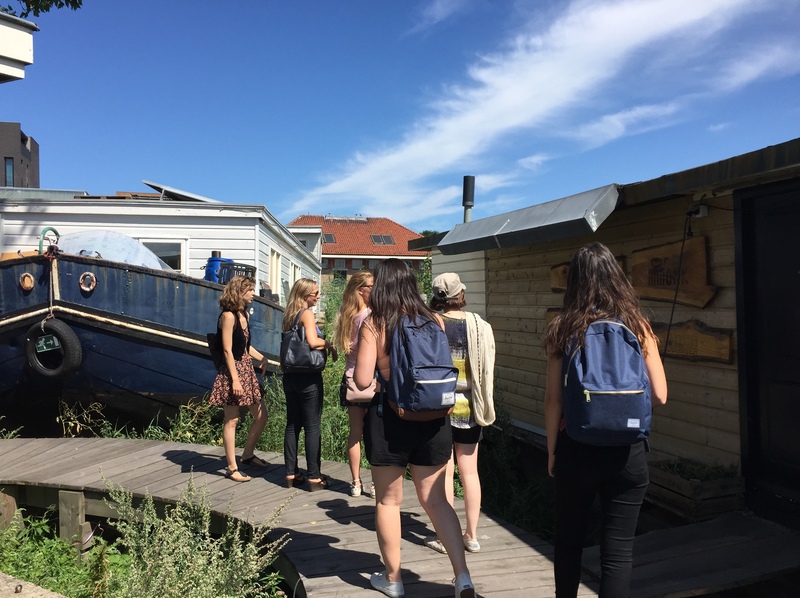 De Ceuvel is a living laboratory where old houseboats are transformed into sustainable workspaces on contaminated land previously used for shipbuilding. The land is a brownfield that was abandoned and left fallow. 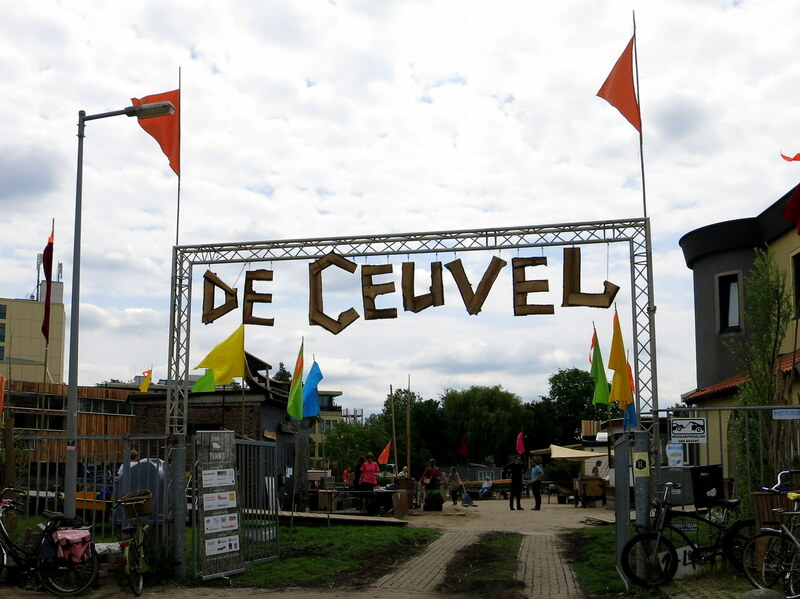 The city held a competition to develop the property and the team behind De Ceuvel won and has been working on restoring it to health for about a year and a half thus far. Sixteen office spaces housed in the old ships. You can walk on a wooden path that loops around the houseboats and see them for yourself. 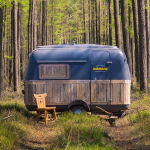 Check out the composting toilets and solar panels, and maybe take a ride from the rope swing. The plants growing around the path perform phytoremediation of the polluted soils. 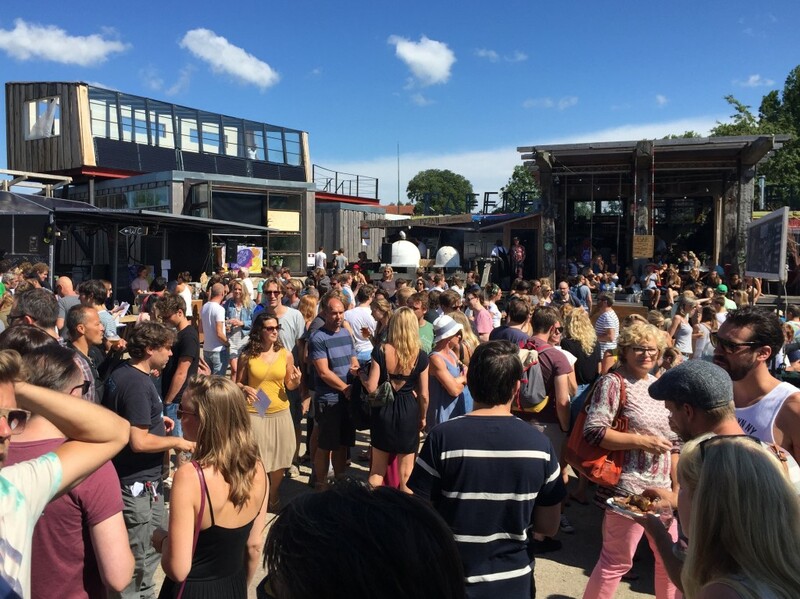 De Ceuvel strives to become a completely closed-loop community. The cleantech systems designed by Metabolic allow for renewable electricity and heating, circular water- and wastewater management, nutrient recovery, and food production. 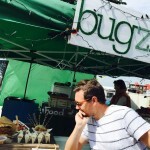 The site has become almost completely self-sufficient and is a living laboratory for trying out new ideas. Cafe De Ceuvel is designed by Studio Valkenier (also behind Hannekes Boom and BRET) and was built with upcycled materials. The cafe strives to be as self sufficient as possible, serving food and drinks from the local area when they can. They are currently crowdfunding for the world’s first biogas boat, to turn food waste into cooking fuel for the next meal. De Ceuvel hosts many community events ranging from eco workshops to beer festivals and is worth a visit any time. You can also book a private tour.